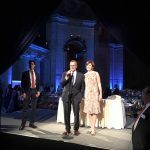 The Christopher & Dana Reeve Foundation hosted its annual “A Magical Evening” gala last night at Cipriani Wall Street to celebrate those who embody the fabric of the Foundation’s mission to cure spinal cord injury and improving the quality of life for people living with paralysis. 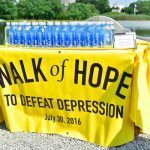 The evening raised $1 million and counting to support this pivotal work. 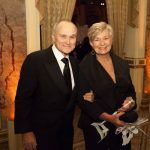 This year’s event honored the Shepherd Family with the Christopher Reeve Spirit of Courage Award; the O’Connor Family with the Arnold H. Snider Visionary Leadership Award; and Denna Laing with the Dana Reeve Hope Award. 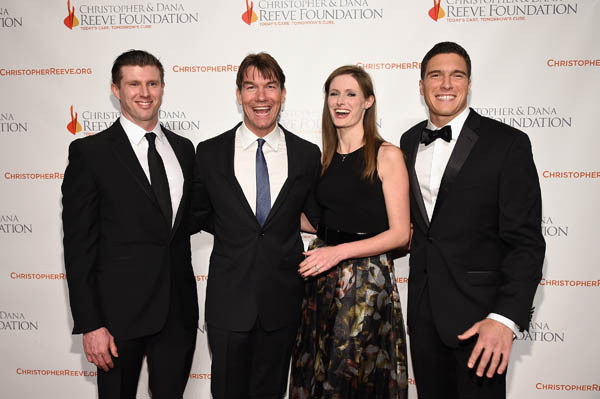 Reeve Foundation CEO Peter Wilderotter and host Jerry O’Connell were joined by Matthew Reeve, Will Reeve, and Alexandra Reeve Givens to support the vision of their late mother and father. The evening featured a performance by American singer-songwriter Josh Ritter. Additional attending supporters included Meryl Streep, Andy Karl & Orfeh, Nastia Liukin, Cam Neely, Gary Bettman (Commissioner of the NHL), gold medal Paralympians Victoria Arlen and Timothy Palumbo, Bethany Watson (Co-host of Z100’s “Elvis Duran & the Morning Show”), Carrie Hammer (fashion designer), Eric LaGrand and DJ Whoo Kid. This year’s Board of Directors included John M. Hughes (Chairman), John E. McConnell (Vice Chairman), Henry G. Stifel, III (Vice Chairman), Matthew Reeve (Vice Chairman, International Development), Joel M. Faden (Treasurer), Jeffrey P. Cunard (Secretary), Peter T. Wilderotter (President & Chief Executive Officer), Timothy J. Connors, Ian Curtis, Stephen Evans-Freke, Tracy Forst, Simone George, Alexandra Reeve Givens, Jack Hagerty, Kelly Anne Heneghan, Esq., Lisa Henry-Holmes, Daniel Heumann, Michael Hoog, Anita McGorty, Timothy R. Pernetti, Mark Pollock, Will Reeve, David Sable, Jay P. Shepard, Marci Surfas, Christopher Tagatac, Tania Taylor, Patricia J. Volland and James O. Welch, Jr. 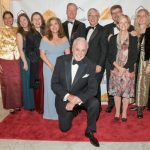 Through the Reeve Foundation’s persistence and promise, neuroscientists around the world agree that repairing the damaged spinal cord is not a question of if, but a question of when. 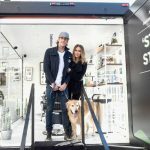 The Christopher & Dana Reeve Foundation is a national nonprofit organization dedicated to curing spinal cord injury by funding innovative research, and improving the quality of life for people living with paralysis through grants, information and advocacy.